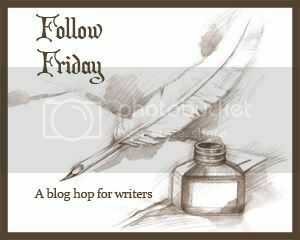 Writer Follow Friday Blog Hop! Some people like to do it in the office. Others prefer it in bed. Some people like it on the dining room table. Get your mind out of the gutter, I'm asking where you like to write! How do you join in the fun? So glad you asked. It’s really quite simple. 7) Follow, follow, follow. This is about networking, people, making connections with people in your community. So talk to us. We don't bite! Join in the fun, I swear it's a good time! Writing on the deck of a boat would be awesome! It's interesting to see that we, as writers, never really turn it off! Whether shopping, driving, or in the shower, our minds continue to conjure up the next scene or the next book! Happy writing! Isn't it amazing how you just can't turn off your head? I have the hardest time falling asleep sometimes-- the characters keep calling me back out to get them down on paper. Nobody wants to see you become a goon M.D. ; I need you at GoodReads! LOL! He'd scoop up the field mice and plop 'em into his stories? Hi Liz! I love that you're so versatile where you can write. I need quite to be able to get into the zone so I usualy hide in my bedroom :) Enjoy your weekend!